My name is Steve Dufort and I married a daughter of a gunnery officer onboard the USS West Virginia (BB-48) during 1941 (Including December 7th 1941). His name was (he's deceased) George M. Hunter, Ensign, USNR and he was assigned to the Starboard 5"AA battery onboard West Virginia. I thought then that instead of actual hits the vibration might be caused by bombs falling close aboard. I went up the starboard side of the boat deck to the AA battery, which was being manned. Ensign Hunter was present on the starboard battery and I told him to open fire as soon as possible. Ensign Hunter, incidentally, was attached to the 5" AA battery and that was his regularly assigned battle station. This Ensign Hunter was my father-in-law. 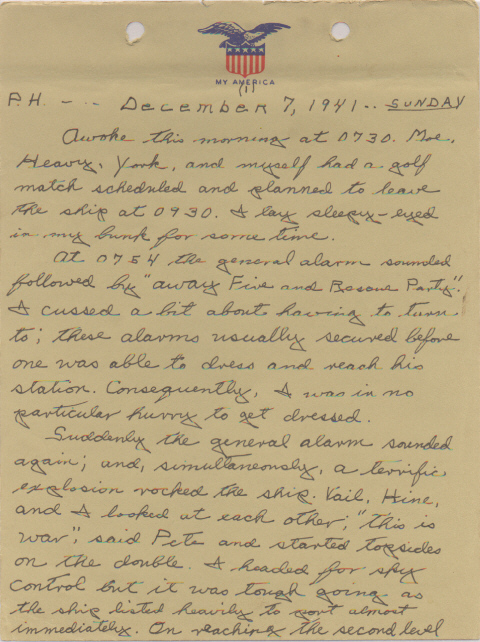 My mother-in-law gave me Ensign Hunter's Pearl Harbor diary which consists of about 65 handwritten pages beginning on the morning of December 7th 1941 and continuing for another few months. I am in the process of converting his diary into an electronic format so that it will be easier to share with other interested parties. It is a very interesting to read the Official Reports pertaining to that morning and to compare those with Ensign Hunter's record. 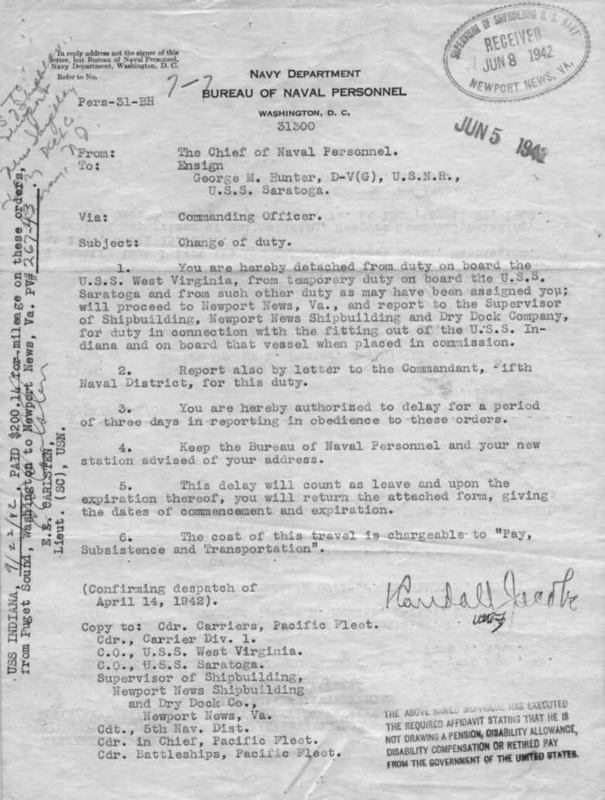 Along with the diary, I have all of George's orders and travel papers from that period. For your information, George was assigned to the USS Saratoga a few weeks after Pearl Harbor. With Ens. Hunter aboard, the Saratoga was busy with local operations when she was struck by one or more Japanese torpedoes in the spring of 1942. From there she retired to Bremmerton, Washington for repairs. Following that, Ens. Hunter was assigned several duty stations until his eventual promotion to LCDR. During the Normandy invasion he lead a flotilla of LST's to ferry equipment to the beach (Omaha). 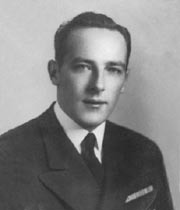 He resigned his commission in early 1946. I am wondering what it takes to include Ensign Hunter on the ships roster you have posted on your fine web site? When I get the diary converted, would you like me to send you a copy? I look forward to hearing from you. Great website!